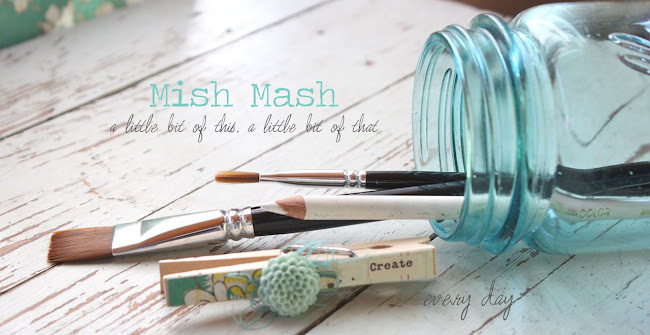 Lots and lots of fun products in the upcoming June Gossamer Blue kits. Here's a few peeks at my projects. 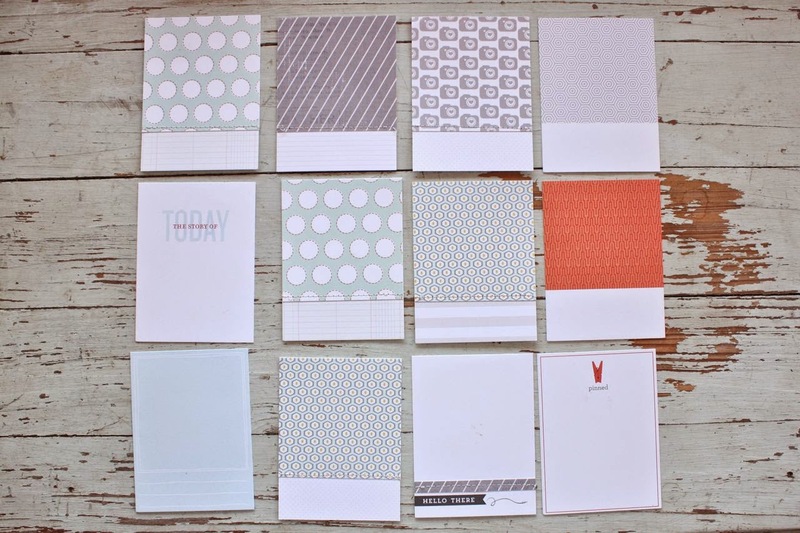 I needed lots of cards this month and the embellishment packs and pretty patterned papers made for some easy assembly. Love the gold accents on these. Cute smiley face veneer, polka dots and sentiments typed with my vintage typewriter. Big gold polka dots to boot. I'll be sharing a tutorial on the Gossamer Blue blog in June, all about pairing the patterned papers & embellishments in the kits with your own supplies like die cuts and stamps. 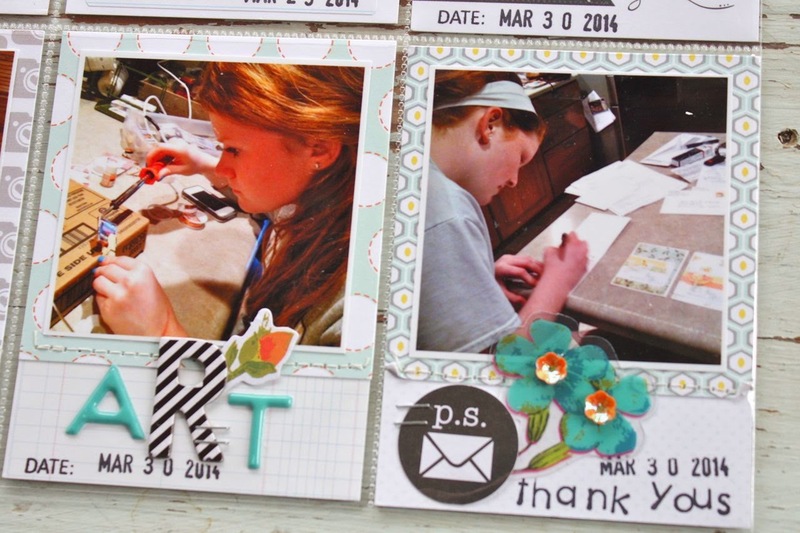 A peek at a stamp from the Life Pages Kit + some fun embellishments and sticker letters. A little misting on a phrase die cut adorns a main, dated 4 x 6 insert. Some very cool alphabets in green + some cool Evalicious products. 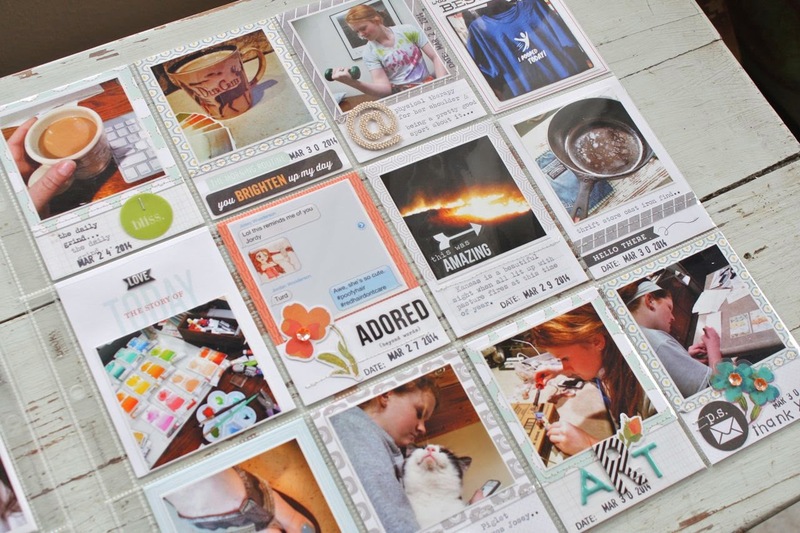 Lots of useful tidbits like tags, label stickers and puffy circles & stamps. Join us on June 1st for the full release. See ya soon! 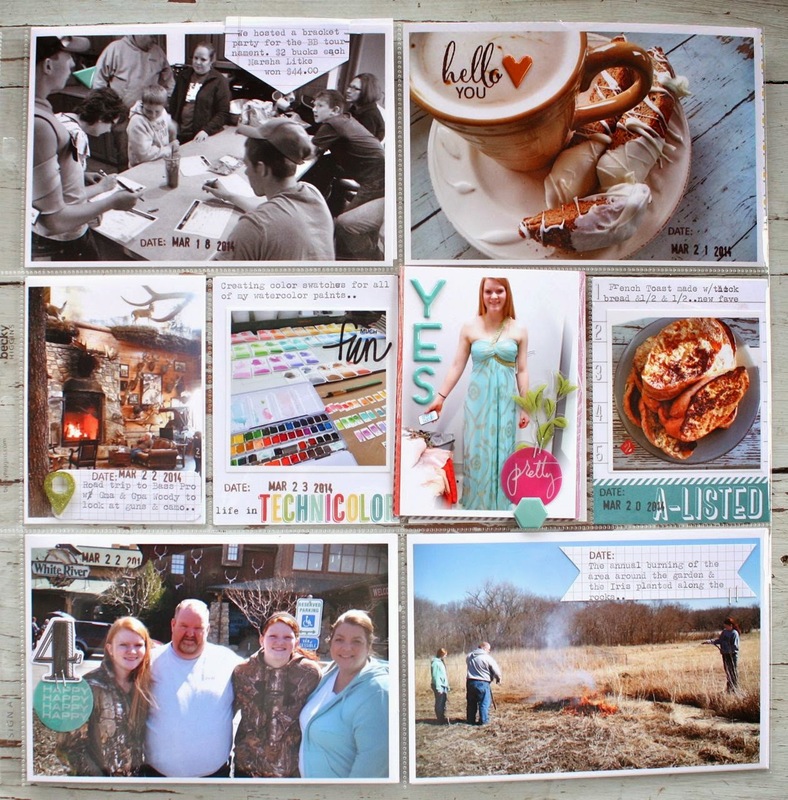 In my last Project Life post I used a Project Life Design U page protector to add in some some photos. You can see the full weekly spread here. 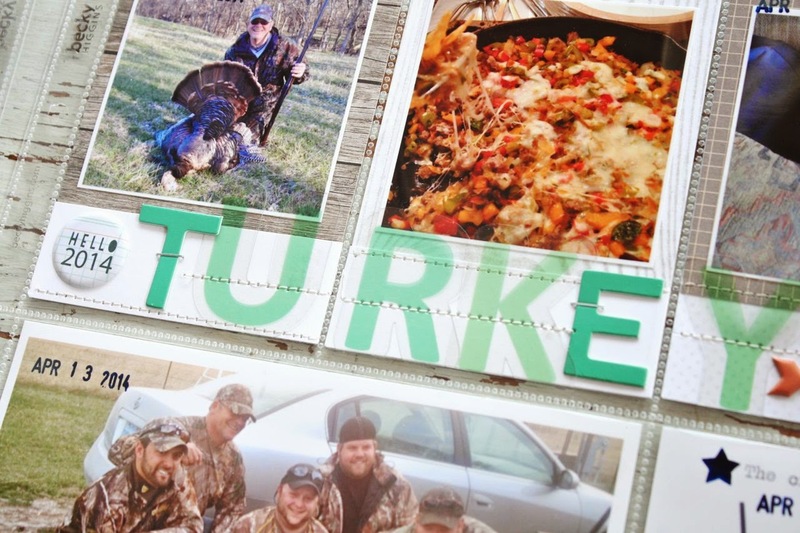 It was so easy to put this spread together because I didn't worry about what size photos to print. I just printed them all at 2.5" square for this one page. I ended up using lots of 3 x 4 from the May Gossamer Blue kits which included some fantastic designs by Peppermint. I loved the white edge at the bottom of the cards. 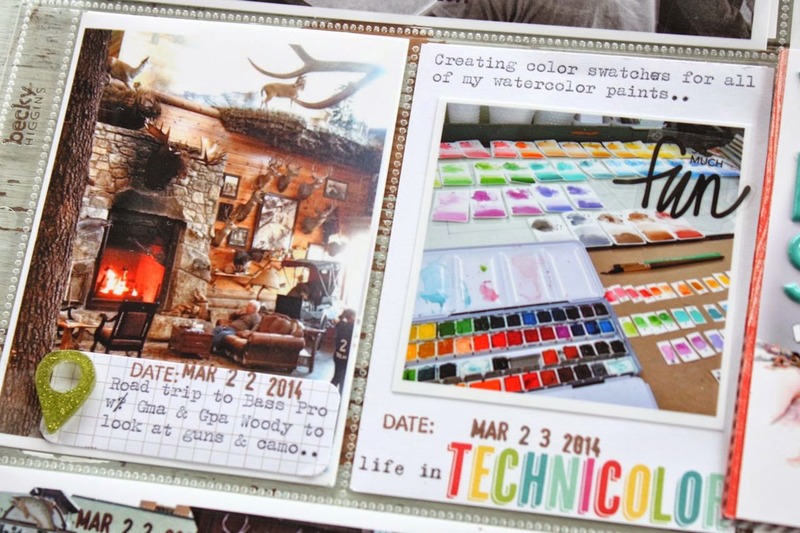 I was able to create a really organized looking page but was still able to add lots of embellishments and journaling. It kind of reminds me of the Collect App look that many are using on the iPhones these days. Some of the cards were already designed with the white strip like the ones on the top of the photo below. Some were created by me with more patterned paper and my sewing machine. 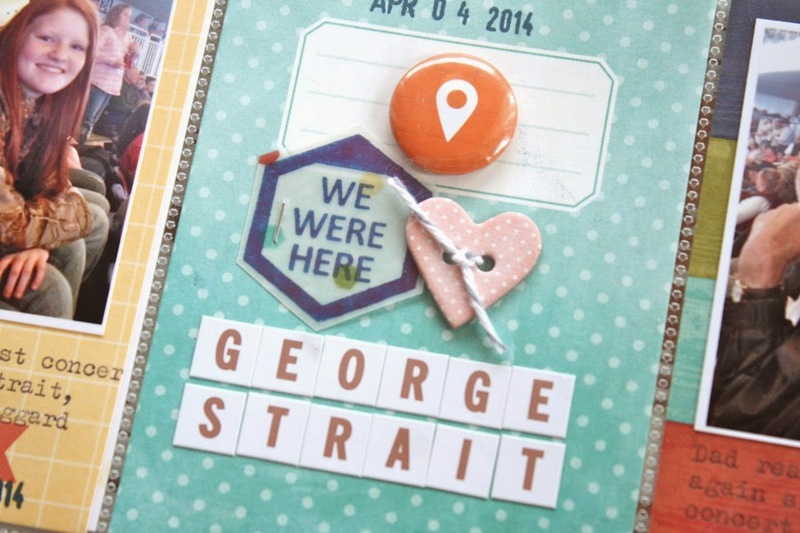 Again, here's what the page looked like when the embellishments and journaling were added. 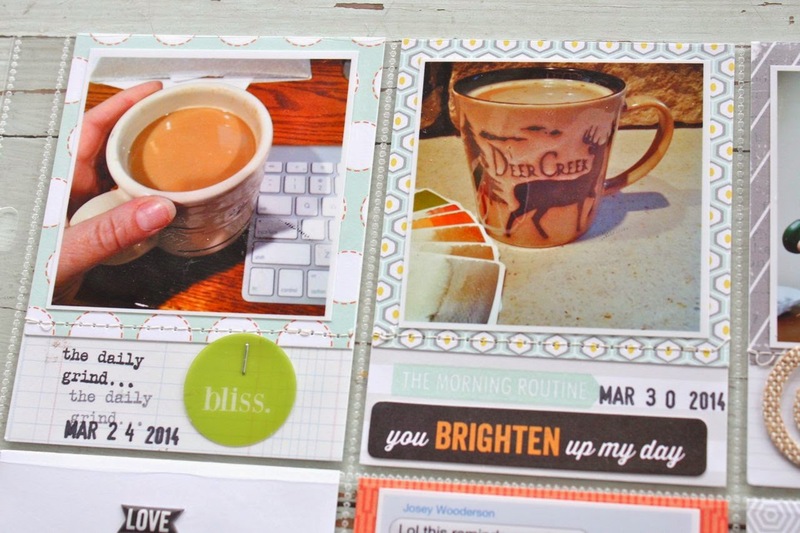 Such an easy way to add lots of photos, I love it and will definitely be using the Design U pages again. 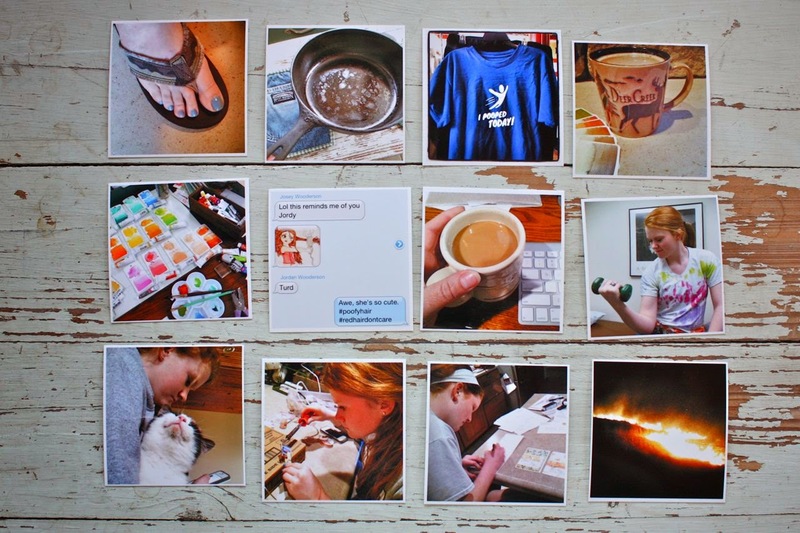 Q: How do you print your photos to the size that fits Project Life pockets? A: I use my iPhoto photo editing program to do any editing to my photos like lightening, straightening photos or cropping photos to squares. Then I use my printer settings to set custom sizes for photos and to select whether I want a white border around my photos or not. My printer is an Epson Artisan 730 and I use their premium photo paper. My Project Life Week 13 was a recent favorite of mine. 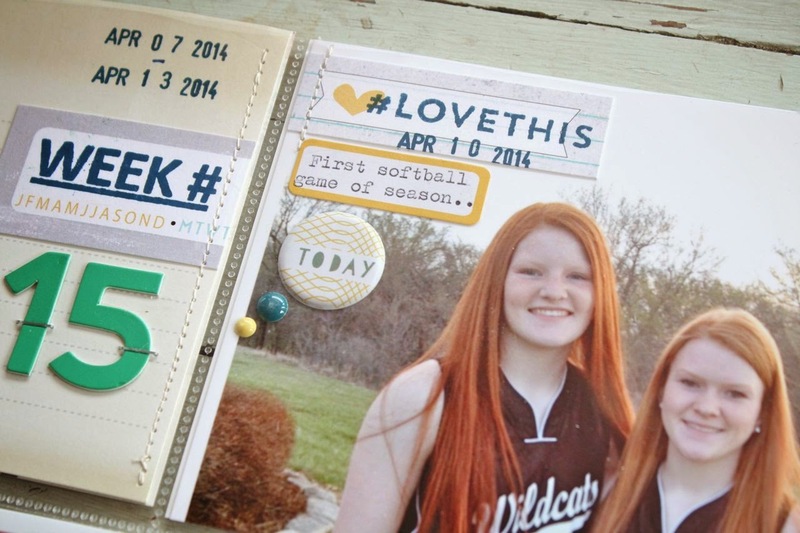 I used the May Gossamer Blue kits along with a Project Life Design U page protector. I love how quickly this week came together. The left page of my spread was done as usual with a main, dated insert and a combo of 4 x 6 and 3 x 4 inserts. Very photo heavy this week. Here's the main, dated insert. 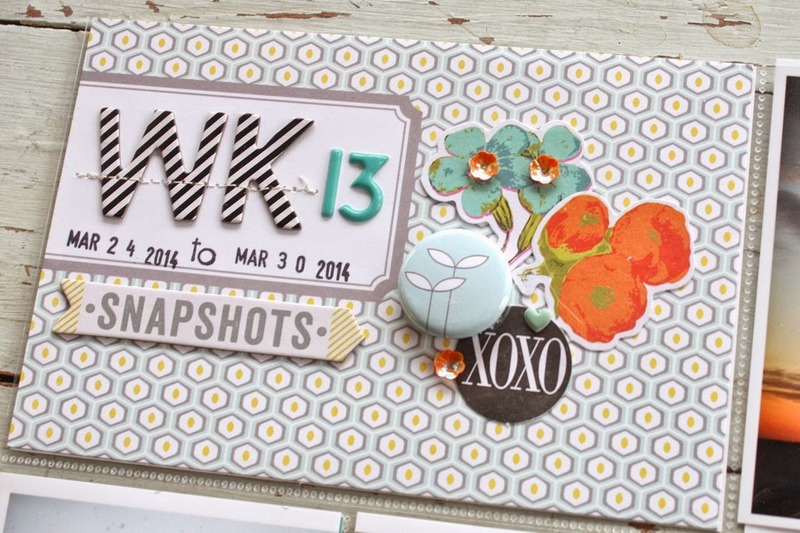 Love the flower die cuts, letters and flair from the May Gossamer Blue kits. Here I sprinkled some sequins from the kits into my pocket. Here's all of the square photos in 3 x 4 pockets. 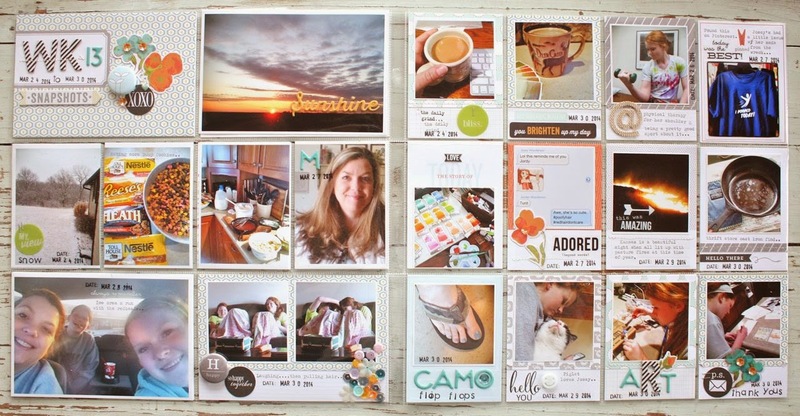 It's kind of like using the Collect App where you just have a square photo with embellishments and journaling at the bottom. I used my typewriter for journaling along with stickers and embellishments from the May GB kits. 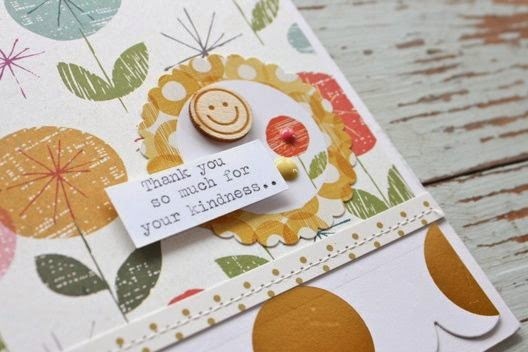 The leftover space on the card leaves just the right of space for embellishments. Loved the stitched on flower with sequin centers. 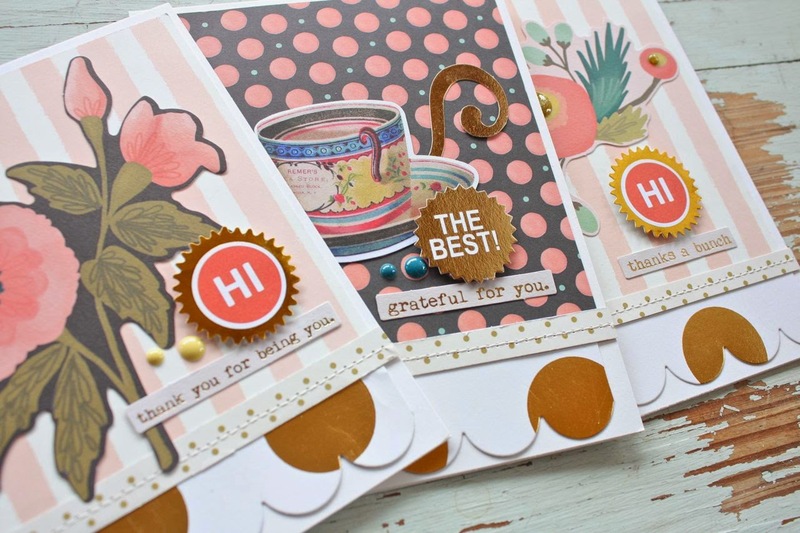 On some of the cards I used additional patterned paper from various kits. 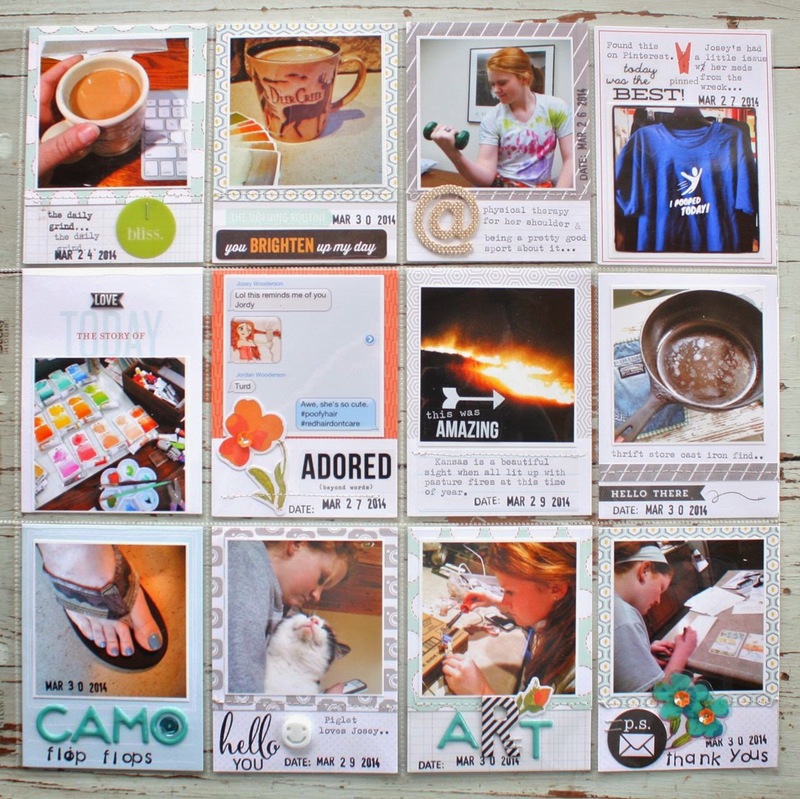 I'll show you in my next post how I prepared the 3 x 4 cards. 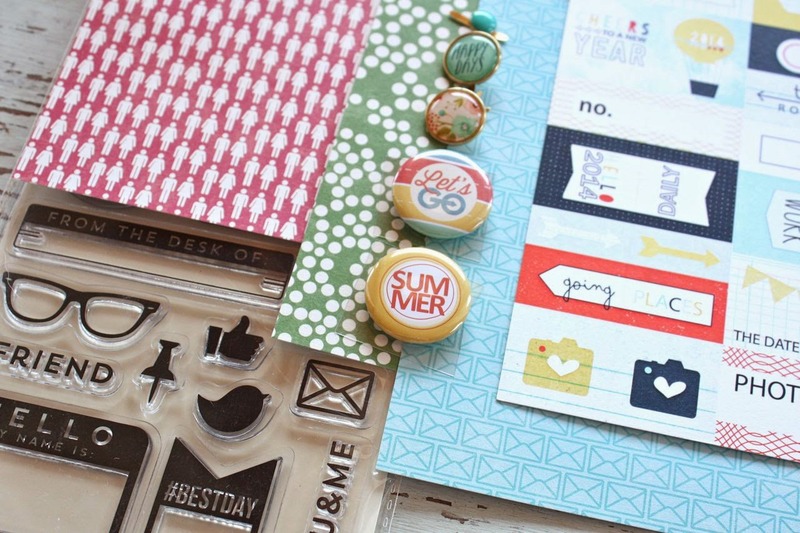 Combos of letter stickers and stamps work great too. Here I was running out of letters so I mixed up the sticker alphabets from the May kits. Turns out to be one of my favorite looks of this layout. So simple but it gives such an organized look to a page. Definitely will be ordering more of the Design U page protectors and printing more square photos. I'll be back next time with a break down of this process. Thanks for stopping by today! 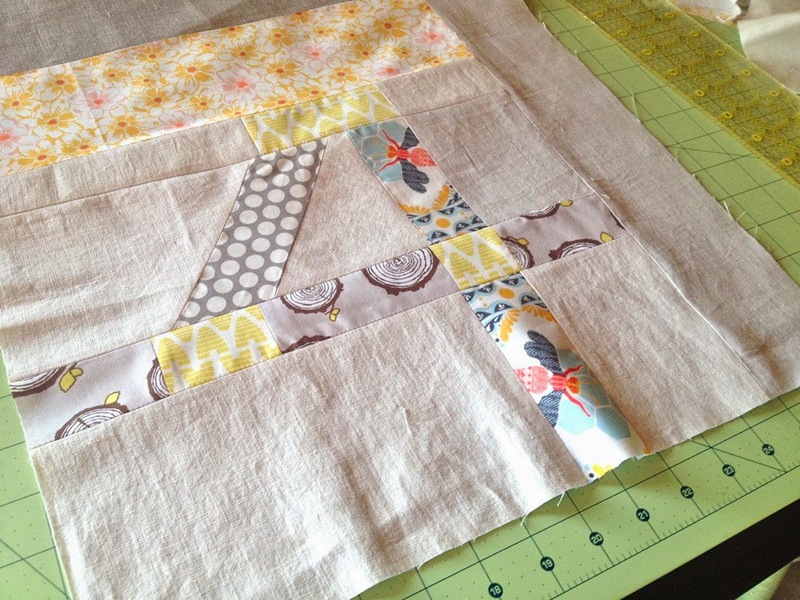 While working on my Catherine Quilt blocks I thought it would be cool to incorporate a number 4 somewhere in my quilt. The #4 represents the four of us. My family. When I see a #4 I think of us and it makes me happy. 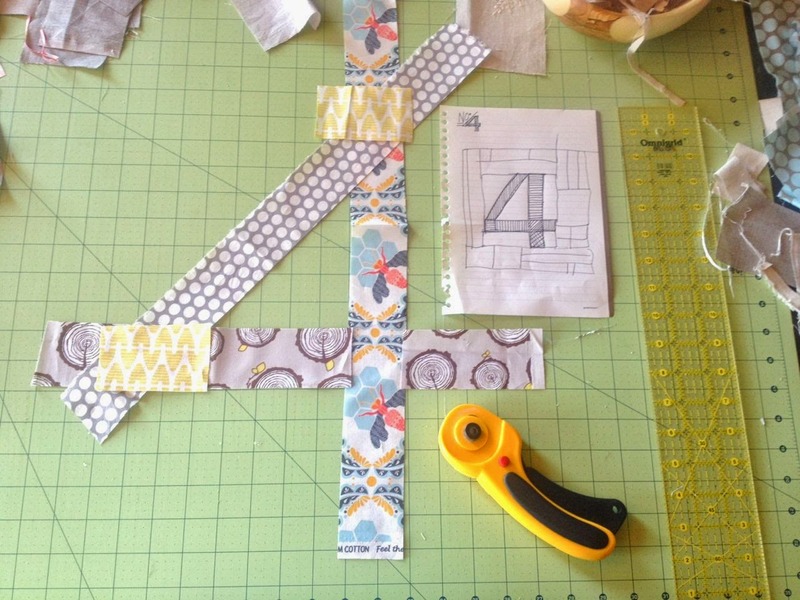 I wanted to keep my "no measuring" rule with this quilt so I just started cutting strips and piecing together a #4 like a puzzle. Once I started sewing together the pieces, I knew it was so incorrect. 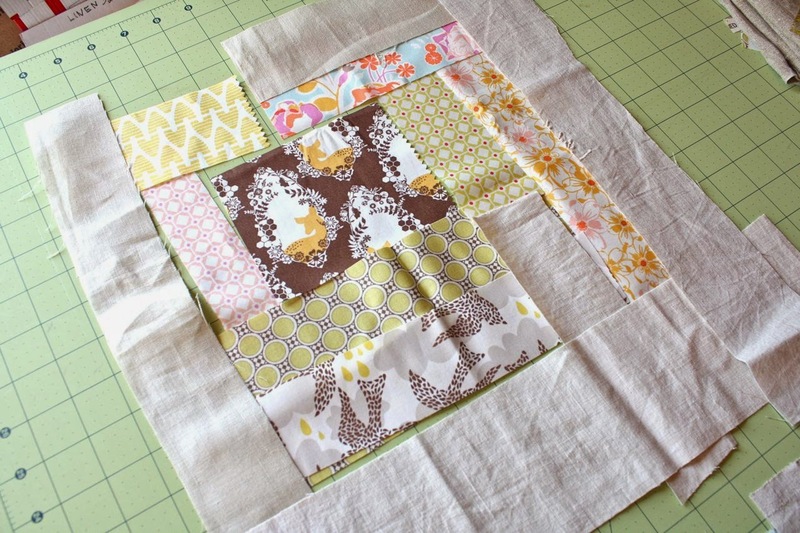 So, so against all things right with piecing blocks. But I didn't care, I just kept on sewing together the pieces. And I like it. Actually I love it. I'll be sharing the inspiration for my Catherine Quilt soon. I'm sure you've all been wondering who Catherine is? 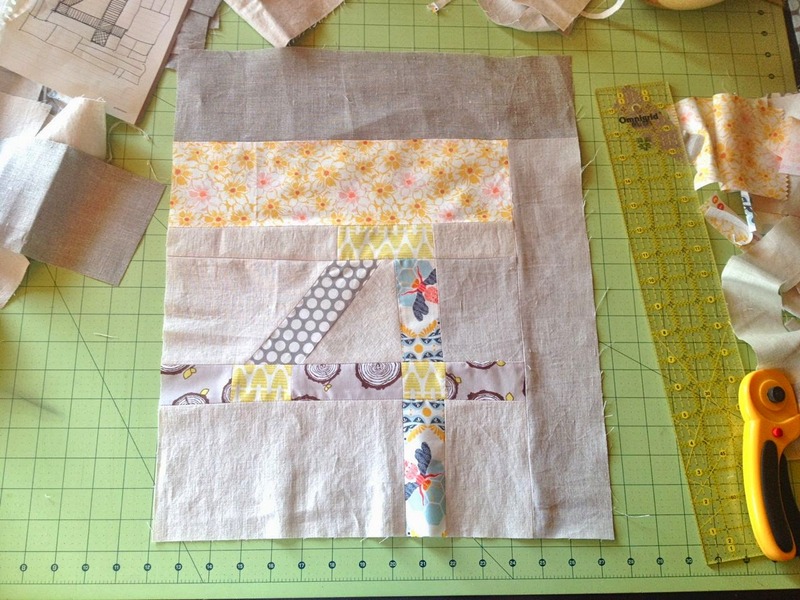 Question: I've gathered up some pretty terrific products for quilting. Are you interested in seeing my favorite tools with links of where to buy? 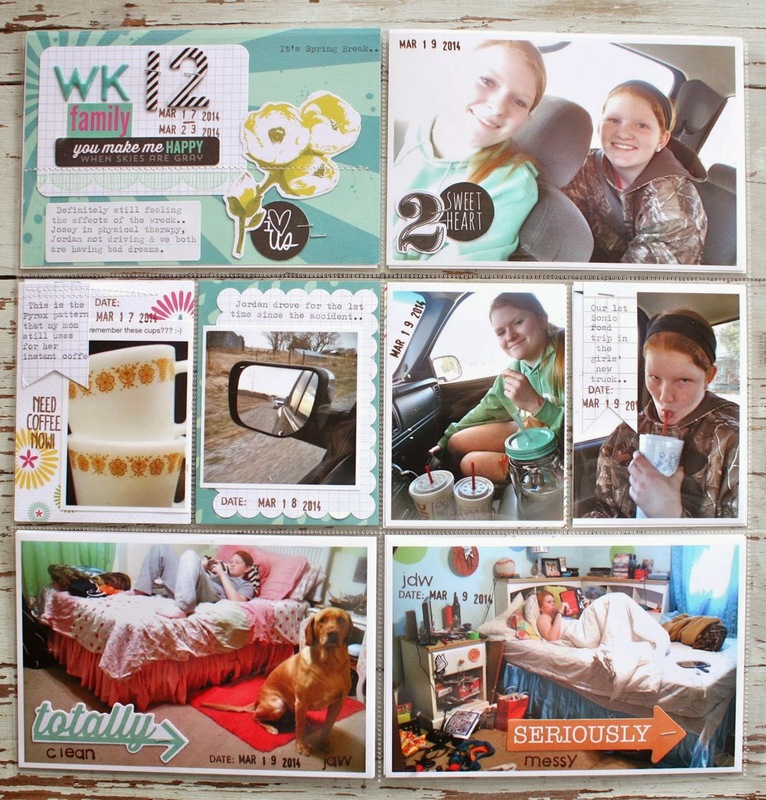 Today I'm sharing Week 12 of my Project Life 2014 using May Gossamer Blue kits. I loved the color scheme of this week's spread. 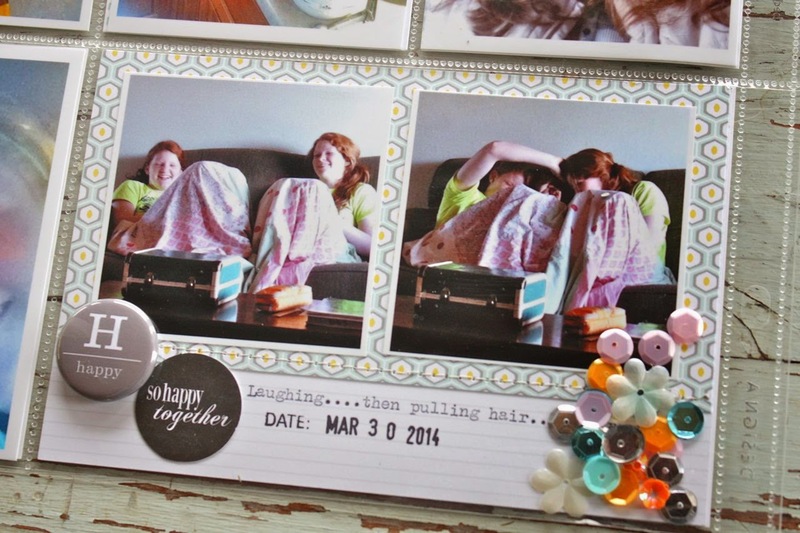 The left page, very photo heavy but still lots of fun embellishments. 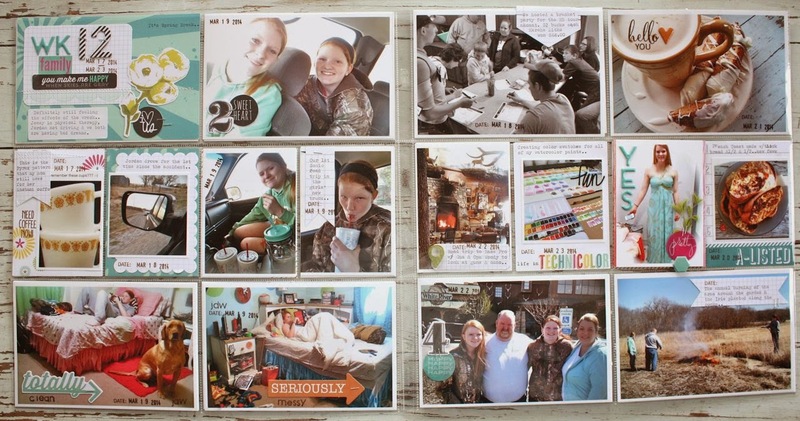 The right page with photos filling every insert. Here I used one of the grid cards from the kits to create a dated insert. 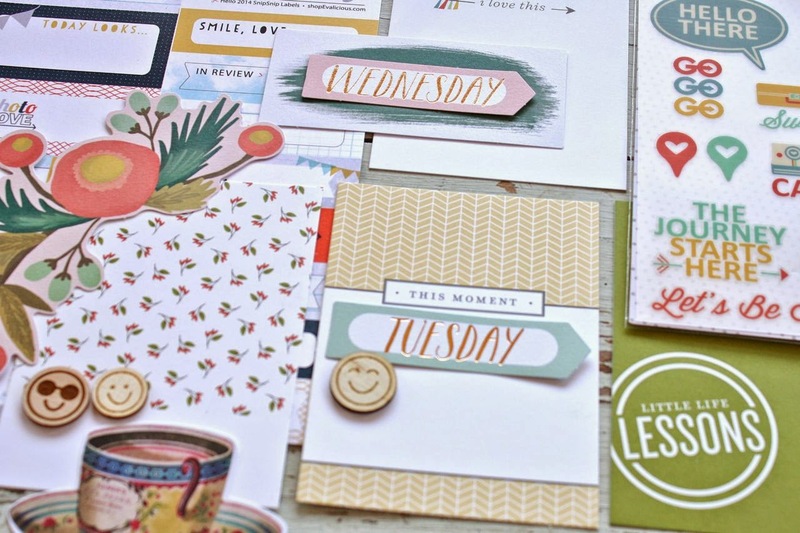 Loved the mix of the striped chipboard alphabet, the aqua alphabet and all the stickers. I used a Notebook Paper Label for the typed journaling. Some more of the grid accents from the Life Pages Main Add-On. Loved this awesome rainbow journaling card from the kits this month. 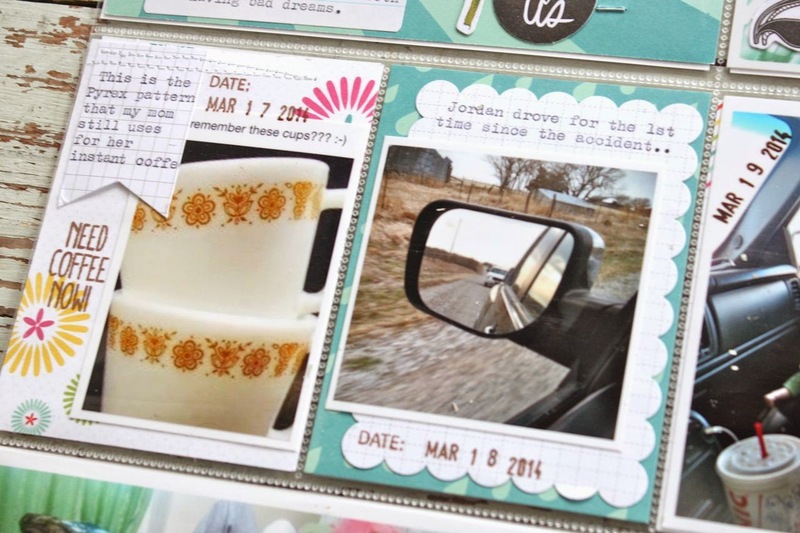 Some of my favorite accents were the Favorite Things Ephemera pieces from Heidi Swapp in the Life Pages Themed Add-On. Love the little stamp set in the Main Kit. 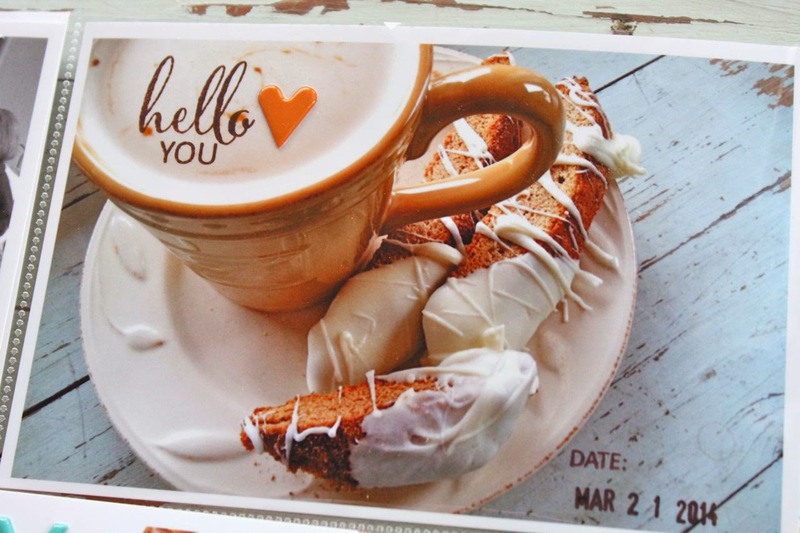 The "hello you" was stamped right onto the photo + the addition of the puffy sticker adds to the cuteness. Snickerdoodle Biscotti? Look for the recipe in my desserts Pinterest board. The little flipper insert I created from journaling cards and a stitched vellum pocket. You can find the tutorial here. That's it for another week of Project Life. I'm off to pick my mama up from the hospital. She had a knee replacement and with that I may be absent at times on the blog. I'll be playing nurse, driver, cook and who knows what else for my folks for a while. 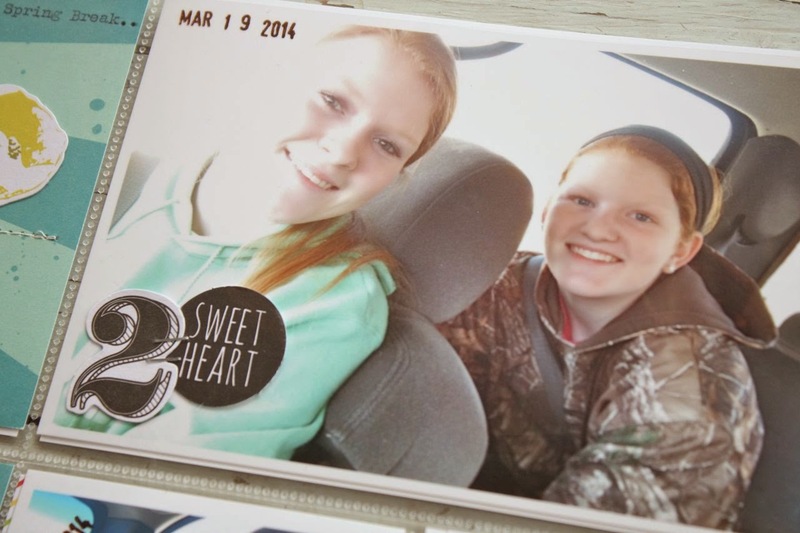 The girls will be out of school next Wednesday so I'll have two little redheads to help out more though. Yay for Summer!! See ya soon. 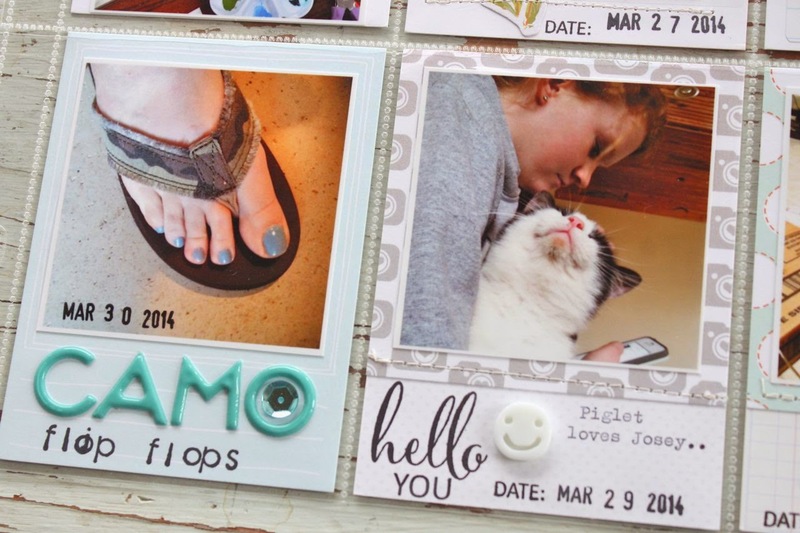 It's time once again for sneak peeks of the Gossamer Blue June kits. 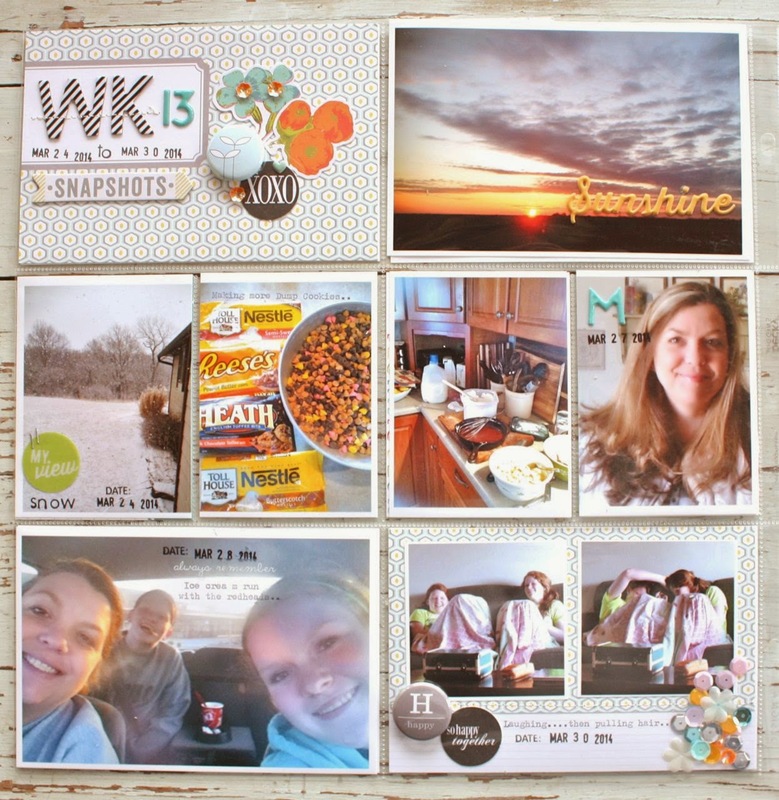 The colors and patterns of these kits really caught my eye this month as I love the muted oranges, golden yellows, olive greens and pretty blues. 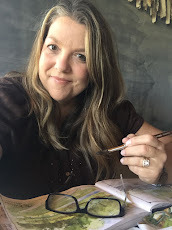 There's some fun travel themed items which will be perfect for upcoming Summer road trips and I'm so delighted that Gossamer Blue is featuring Evalicious products this month. There's so much to the kits...let's have a little peek at each one in no particular order. I always love when there's lots of tags and fun embellishments. This month does not disappoint. 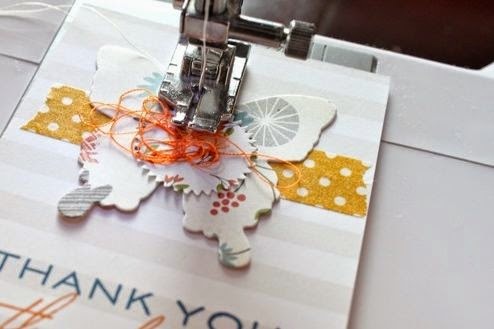 This will be a fantastic addition if you want even more cards and embellishments. 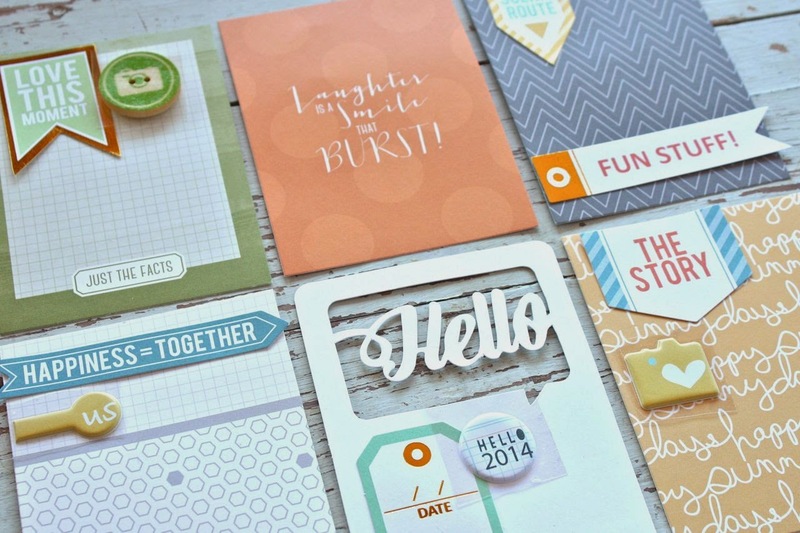 The main Life Pages kit has an Elle's Studio stamp set with concepts by me and it's a favorite. 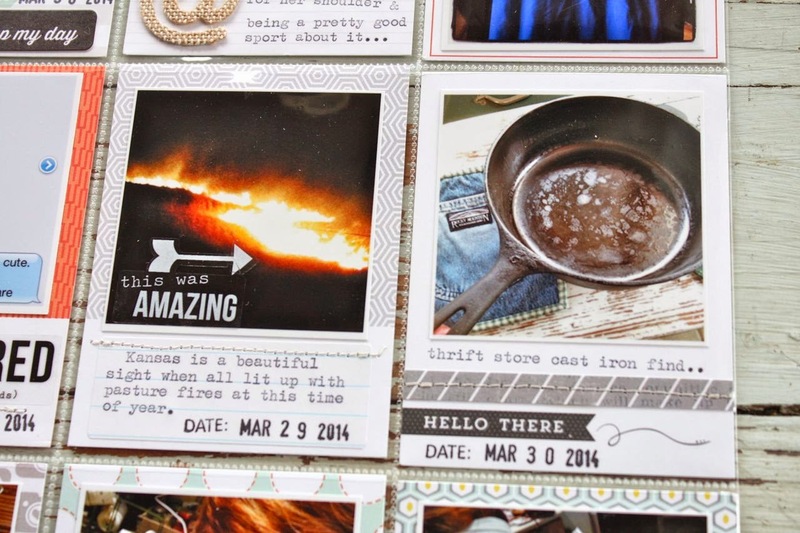 Lots of images to add some stamping to your journaling cards. 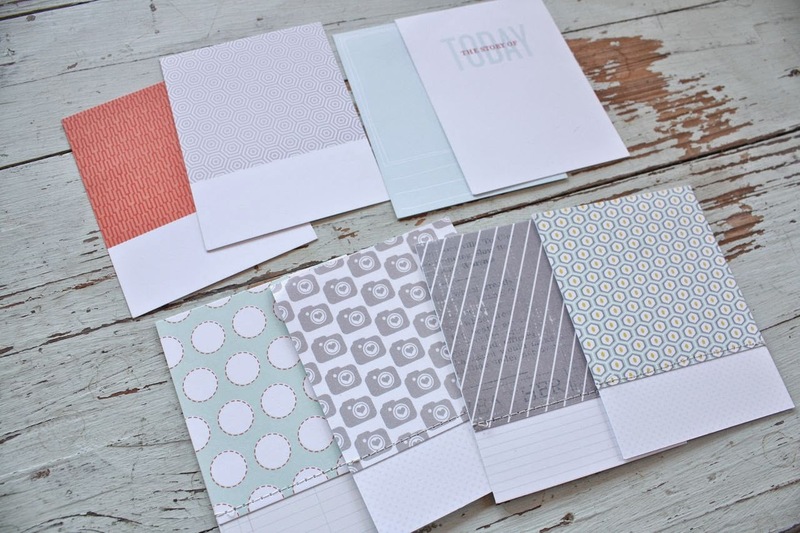 I'm totally smitten with the journaling cards by Traci Reed this month. 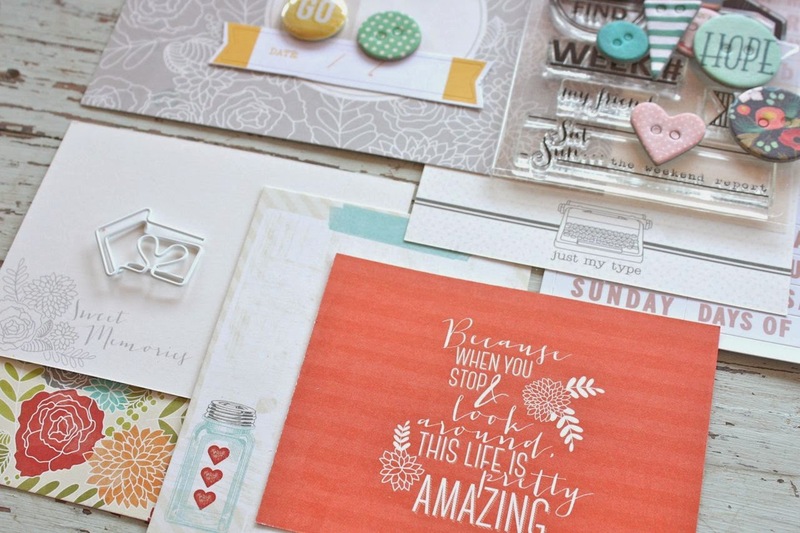 Lots of muted colors and white space for journaling paired with beautiful images and phrases. 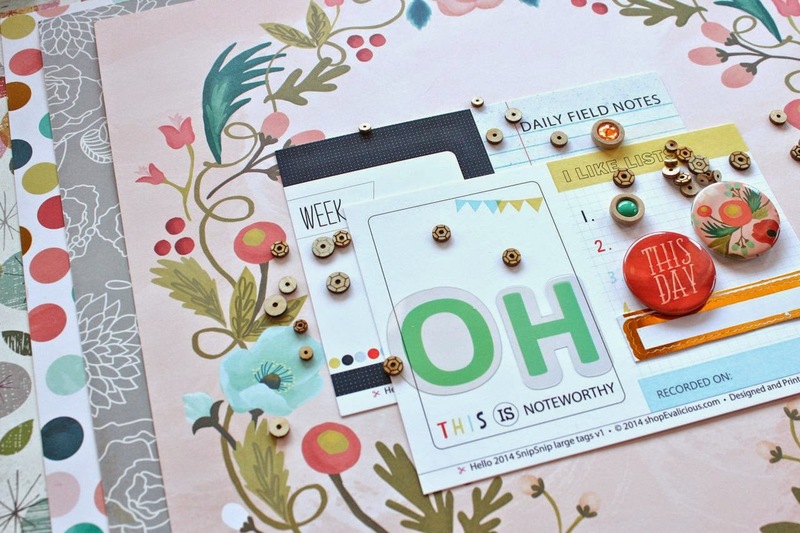 Toss in some fun chipboard, badges and arrow clips and this kit is so perfect. Even more fantastic journaling cards by One Little Bird + a ephemera pack from My Mind's Eye that is loaded with paper embellishments. Rub ons are back along with some fun emoticon wood chips. A fun travel themed add on for your Life Pages. A perfect little kit for documenting road trips or any travels. 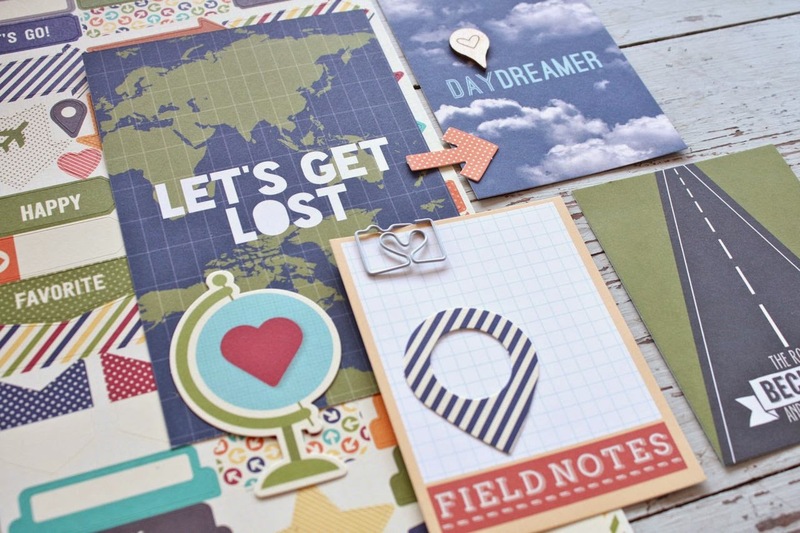 Always a favorite as I love the 6 x 6 paper pads and stamps sets in this kit. 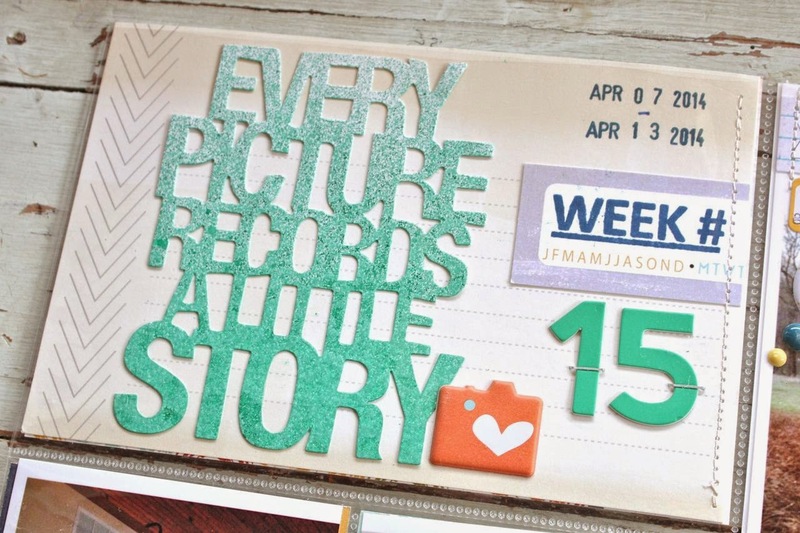 Use it with your other scrapbook kits, Life Pages kits....or grab this one for some card making. 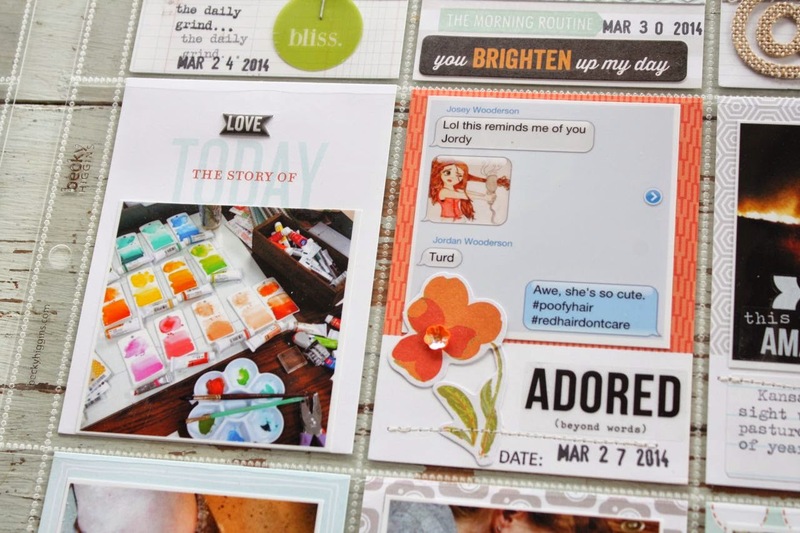 There's some adorable Chic Tags flair and some fun page tabs from Evalicious. Lots of beautiful papers in this kit. Use them for scrapbooking or do what I like to do and trim some of the papers down to create toppers for journaling cards. The gold labels and wood sequins from Chic Tags are going to be fun embellishments along with the large journaling tags from Evalicious. 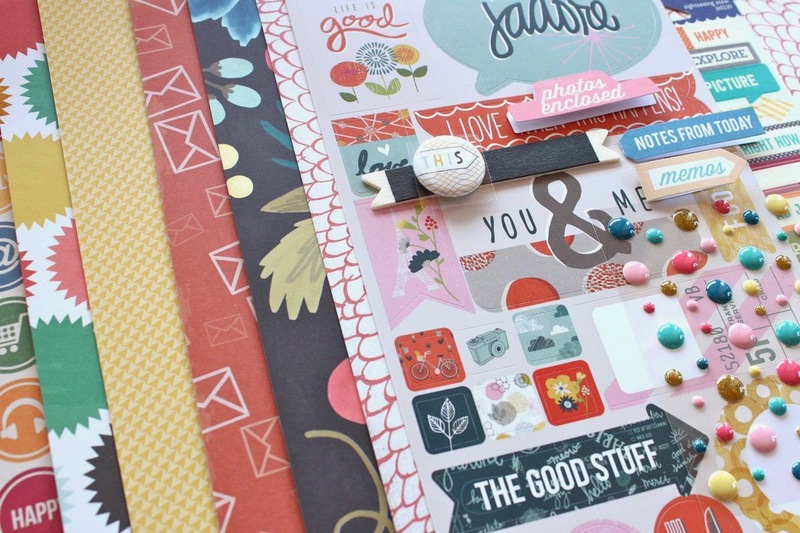 Some of the most colorful papers are in this kit along with gorgeous stickers from the Mon Ami collection from Basic Grey. I can always use more enamel dots and there's lots of fun labels to add to projects too. 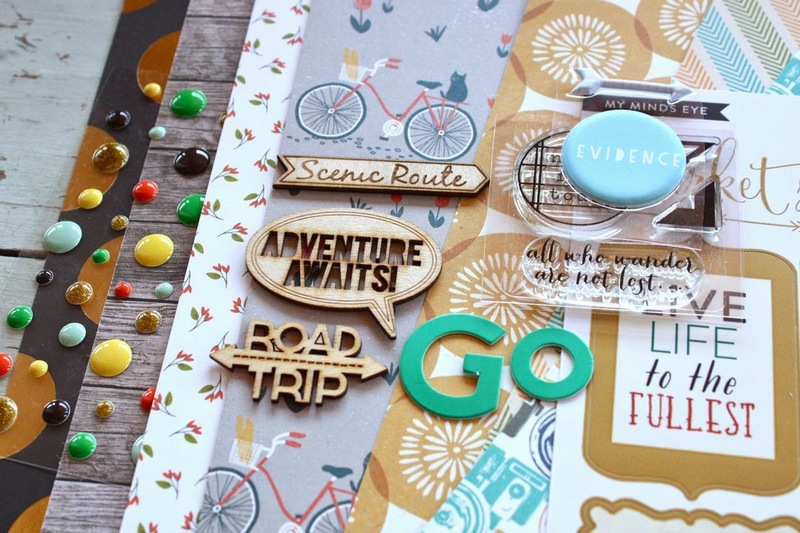 My favorite paper from the June kits is in this one...that cute bicycle paper from Basic Grey. Coming in second is that fun golden yellow circle patterned paper. 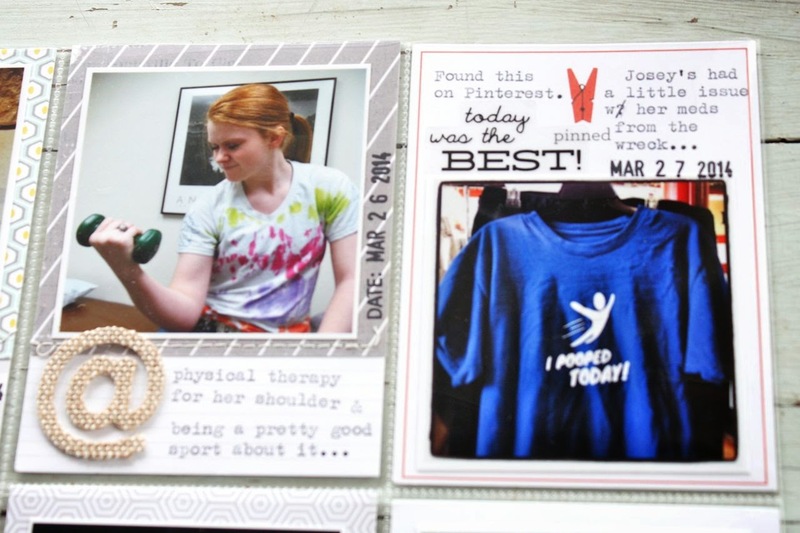 There's another stamp that has a favorite circle label stamp in it that I designed & Elle's Studio did wonders with. The wood veneer from Chic Tags has some really unique designs + there's more enamel dots from My Mind's Eye and some puffy stickers from Evalicious. I've been making progress on my Catherine Quilt so I thought I'd share some photos today. 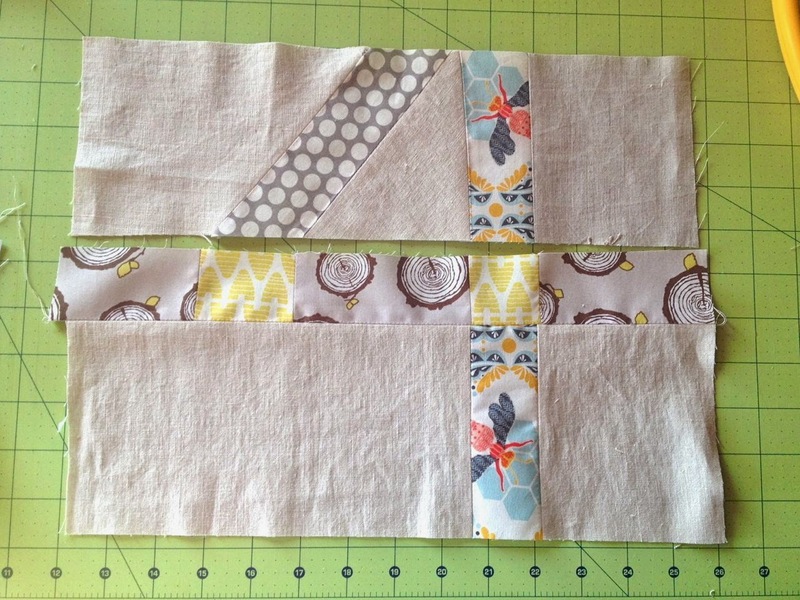 If you remember in my last project update I was just starting to piece together random fabrics to form quilt blocks. Here's the first two that I made. 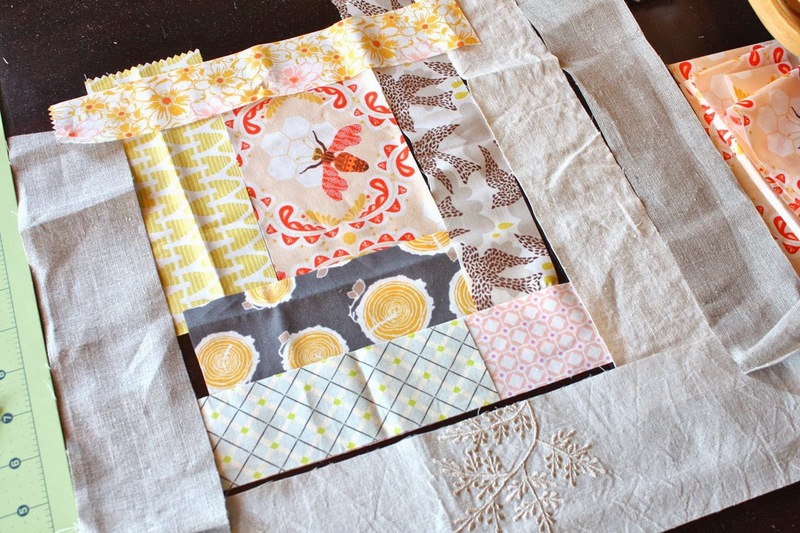 This type of quilting starts with scraps so it's a great project for those who keep all their scraps, big and small. 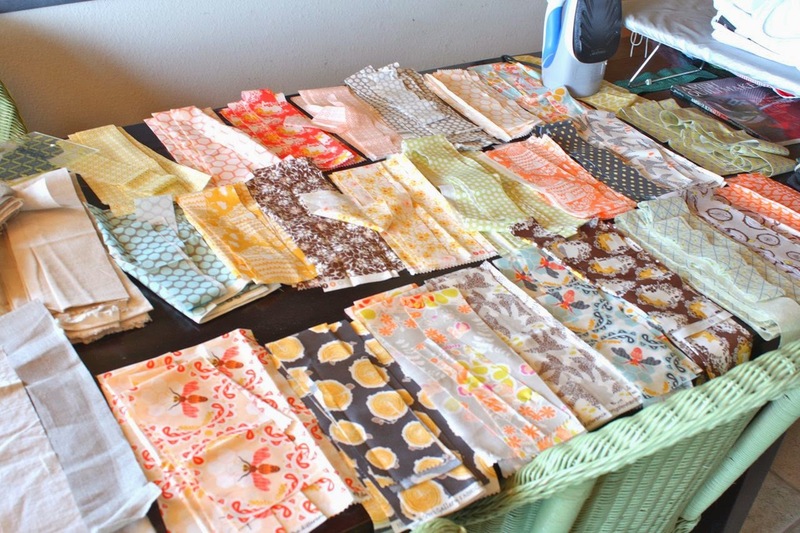 I didn't have many scraps so I started with all new fabrics + a large bundle of linen that I purchased at a thrift shop. 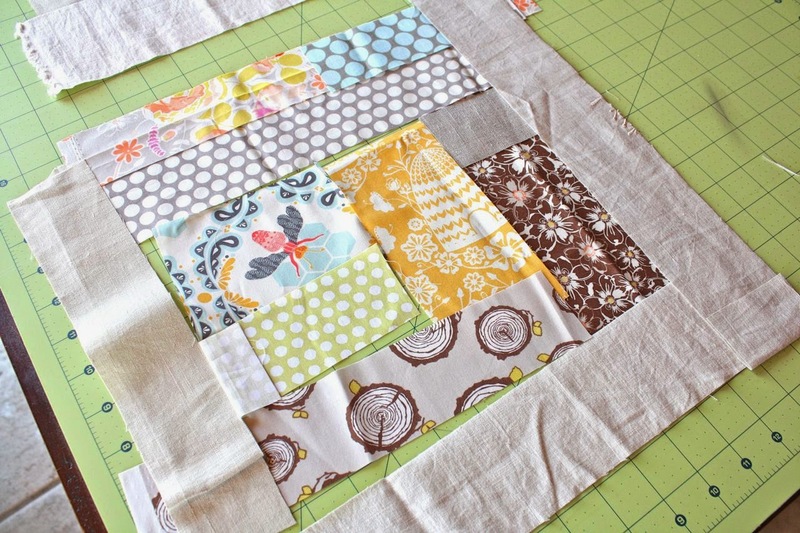 Some simply call this type of quilting "scrap quilting" or "wonky log cabin" but after much research on the Internet I found that this type of quilting actually has a more formal name. It's called "improvisational quilting" or "improv quilting" as I will call it from here on out. It can be very simple in nature by just sewing together random scraps or it can become a very artistic expression using fabric and intricate designs. I decided to use this improv quilting method but I had no idea what it was called or if there were many others doing this kind of quilting. Why am I interested in this type of quilting? When I took my first beginning quilt class several years ago the quilt had 9 square blocks that had traditional type pieced patterns. The patterns had to be so precise, it involved measuring and matching up corners and making triangles. It was a bit stuffy feeling to me and I felt like the dear ladies at the quilt shop silently critiqued every little mistake. Of course they didn't and were nothing but super helpful and nice...but still I felt that maybe this type of quilting wasn't for me. It was too perfect. It didn't settle well with my mixy matchy, scrappy style that I was used to in my paper crafting. So I decided to venture out on my own and just see what I could come up with. I had a few ideas brewing about when I started my Catherine Quilt. 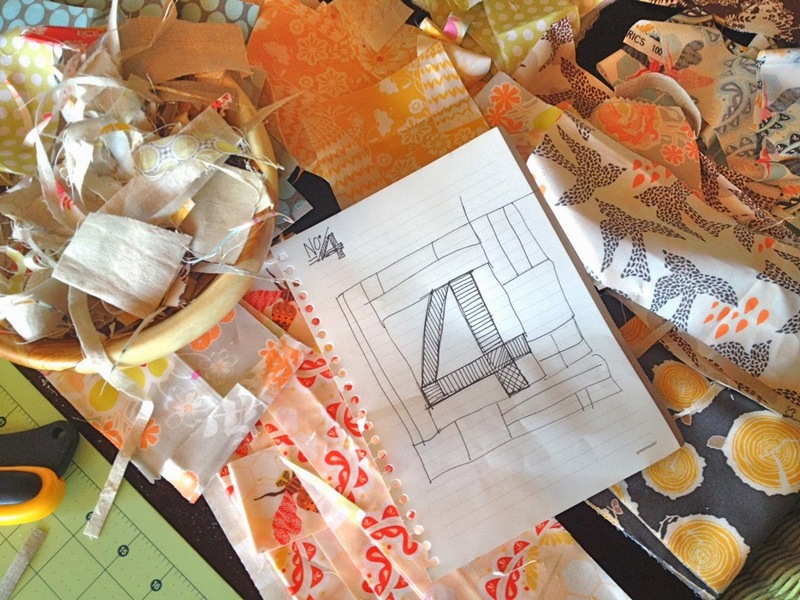 First, I wanted to pick fabrics with patterns and colors that I loved. I think my quilt really does reflect my style, sort of like what I would select when paper crafting. I also knew that I wanted to dig into this beautiful stash of linen that I had been saving for a special project. I loved the idea of using the soft tans of the linens as my neutral instead of a white fabric. Next, I knew I didn't want to measure anything. I know that sounds crazy but it's just like my paper crafting...I don't measure too much. It's so stifling to have to be that precise. So I started cutting strips without measuring any of them. Then I started laying them out as you see in my photos today. Next I just started stitching them together and trimming them down. One issue I had was deciding if I wanted all my blocks the same size. I initially thought about using my 12" ruler to square them all up but in the end each and every block I created was a different size, about 18" square approximately. I thought by doing this, my quilt would have a more organic look, without perfectly spaced squares. I thought it would be unique if the viewer of my quilt had to look twice to see how I pieced all the pieces together. 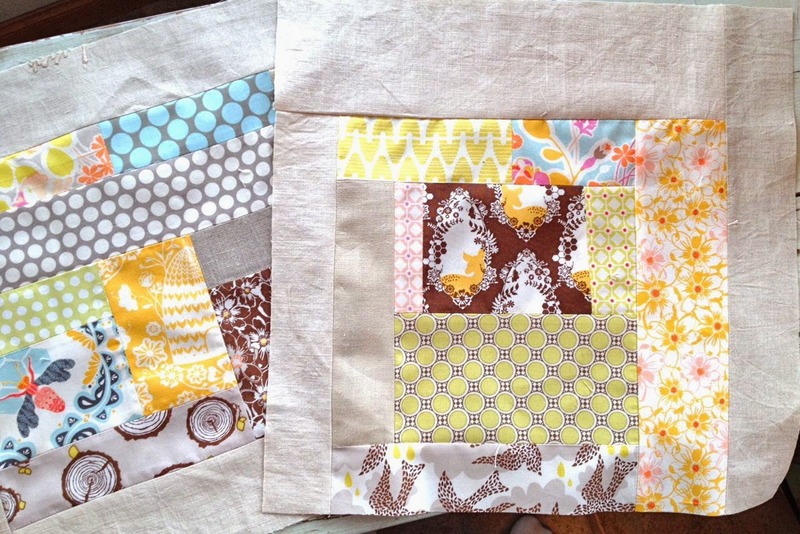 The more I worked on piecing the blocks, the more mixy matchy they turned out. I'm very happy with the results so far. Since I started quilting my preferred way I looked up improv quilts on Pinterest. I've added lots of quilt ideas to my Quilts board and my Catherine Quilt board. I've found that the Internet has endless inspiration for improv type quilting. If you're like me and think perhaps that the traditional type quilting blocks are a little too much for you at this time, I so hope you'll give this style a try.